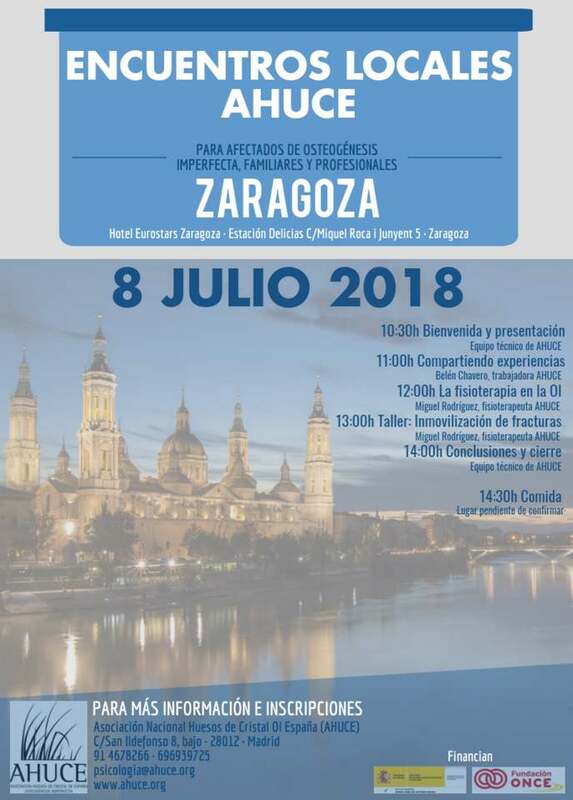 AHUCE is declared a public utility association that now has 20 years of history and operates nationwide in Spain catering to the needs of people with osteogenesis imperfecta (OI). AHUCE offers affected OI and their families comprehensive care whose main objective is to improve the quality of people living with this disease. AHUCE provides its services through a multidisciplinary team working for our association. We also have the support of disinterested reviewers health professionals, as well as the valuable work of many volunteers who put their time and work in the service of our association. The performance of our work and the supply of services are possible thanks to the trust placed in us Spanish public and private entities that finance our projects and support us so we can continue this work AHUCE Sponsors. Thanks to public support we received most of our services are free to our partners or are subsidized in part. To receive care at any of these simply contact our office and request services. The social worker will provide information and our partnership will manage and coordinate the service you requested.